I just wanted to give you feedback on our move. We’ve moved house 5 times in the last 7 years, using Steele’s for 2 of those times, and I can confirm that you are streets ahead of the competition. Everything went like clockwork, as I knew it would, and your crew were particularly deserving of credit. Louis and Stuart were brilliant and I will be requesting at the time that, if possible, we would like Louis and Stuart to undertake the move of our stuff out of storage and into our next home. Very good company, would recommend to anybody. We only use Steele’s Removals. We used Steele’s for the first time to move home earlier this year. We needed storage for a few months whilst waiting for our new home. The removal team were punctual and nothing was too much trouble. The reception staff are efficient and courteous & respond to emails / return calls in a very timely manner. Unfortunately our son’s bed was damaged ever so slightly when we were moved in. The lads who did the move pointed this out to us and were honest about it and advised us that it would be sorted. Sure enough we received a gesture of good will discount refund on our account as a result of the damage, something which the owner sorted out personally. When things go wrong the sign of a great company is the way on which they act to put things right. Thanks very much for the excellent service we received and best wishes to everyone at Steele’s. Thank you so much to all your removal men who went the extra mile moving us in Kendal today. Your men were an absolute credit to your company, working so hard all day, remaining cheerful and polite throughout. Many thanks your kindness was so appreciated. Just wanted to say how impressed we were with the excellent service we received from everyone during our rather protracted move from Milnthorpe to the Isle of Wight. My preconception was that Steeles were expensive and whilst it was not cheap, given amount of work and distances involved I would say it was extremely good value for money. Special mention to the removal team, at both ends of the move. So friendly and nothing too much trouble. I just wanted to pass my thanks to everyone at Steele’s Removals, especially Mattie and Lewis for moving us this week. They have been superb in packing up the house, worked like trojans but were always cheerful and nothing was too much trouble. I assume they have made it back to Barrow ok but by far the best removals we’ve ever had – and we’ve moved 5 times in 11 years! I just wanted to say a heartfelt thanks to Antony, Adrian, Callum, Steve, Liam and Jordan for all their hard work on what has been the hottest day for our move from New Hutton to Ravenglass. They were literally dripping with sweat but still carried on working! Anthony, Adrian and Callum worked tirelessly yesterday packing – above and beyond what anyone could expect. They are an absolute credit to you and were a pleasure to have around at what is an extremely stressful time. Nothing is too much trouble for any of them and they worked with great humour and patience. I genuinely would not go anywhere other than Steele’s Removals – you completed our move to New Hutton almost 5 years ago and we were always going to come back to you. Your team are professional, friendly, hardworking and fun to have around. Please pass on my sincere thanks to Antony and his team. 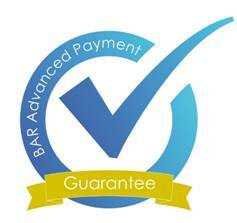 The delivery went really well, the guys were great and provided an outstanding service. They had to work like Trojans with the stairs here in Germany. Please pass on my thanks to their boss. Thank you for everything you, Nick and the team in the UK did to assist me, Laura. You really did help to elevate the stresses of moving. I am very grateful for your friendly and professional services and so relieved that my agents recommended Steeles to me. Thankyou, Darren, and Keith for being so very kind and helpful you made my moving day so much easier with your professional way. You did a great job thank you so much!!! Both myself and my wife would just like to say thank you to the two chaps that moved us on the 22nd May 2018, they were on time, polite, very helpful, and nothing was too much trouble for them and they were a credit to your company, and I will fully recommend your services to all that I know. The guys handling our goods in loading, transporting and unloading were very helpful, polite, careful & informative – excellent. I wanted to thank you so much for the excellent move your men helped us with. We were so impressed by the efficiency & calibre of the crew I wanted specifically to write & commend them. They were cheerful, helpful & totally reliable. Just to say thank you for your excellent service during my house move. All your staff were pleasant, courteous and gave efficient service at all times. They made my move totally stressless and I just wanted their efforts to be recognised. We are very appreciative of the services we have received from Steeles during our recent, very successful move.This involved not only your removals team, but also some van hire and our use of your very useful storage facility at Flookburgh. In an unfussy, quietly competent way each member of the staff that we have had dealings with has just got it right for us each time.From the estimator being very diligent to the movers being careful, hard-working and cheerful. Finally, the administration of bookings and invoicing undertaken by you and your colleagues in the office has been transparent, efficient and prompt. I would use Steele’s Removals again and would recommend your services to others. Just a note to say thank you to you and all the guys who made Mum’s part load happen yesterday/today. Mum is delighted to be surrounded by all her familiar things again and familiarity is so important when you have dementia as she does. I know you’ll probably say you were all just doing your job – well just so you know just doing your job has made a huge difference to Mum! Just a quick message to say thank you to you and your team for the excellent service we received during our move from Millom to Yarnfield. Jan and I would particularly like to compliment Darren Simon and all the crew for making what you are always told is one of the hardest things you do in life almost a pleasure. All five lads are a credit to your company. Please pass on our thanks to them once again. Regards to you and your team. Just wanted to e mail my gratitude and thanks over for use of a van over the weekend for our annual Christmas tree recycling. St Mary’s is a very special place but we would not be able to carry out our vital work without kind people like yourselves who offer their continued support. I just wanted to say how we thought your team was great when they moved us on 15th December, from 93 Serpentine Road to 3 Tenterfield in Kendal. They were prompt, polite, took very good care of our possessions as well as the carpets and walls of the new property. We didn’t have to ask them to protect anything as they already had it covered. They were also keen to get everything in the right room for us: this was particularly helpful given we hadn’t managed to label everything. I got your email address off them so i could email you directly to let you know. We wish to express our gratitude for the money you kindly donated for a raffle prize for our Silver Anniversary Gala Dinner, held on Friday 24th November at the Castle Green Hotel. The event is our largest fundraiser helping us to raise much needed funds to continue our work supporting carers of all ages. This year the Gala Dinner launched our 25th Anniversary Appeal to raise £25,000. This money will be used to develop a holistic suite of support services for Carers including relaxation therapies, counselling and a sitting service. The value of such support has been well-documented through our contact with Carers and its expansion will meet a growing need for Carers to whom a regular, short break makes all the difference in the world. The feedback from the Gala Dinner has been extremely positive and we’ve raised around £10,000 after costs, a tremendous result. The raffle alone raised £1,500! Thanks to your help, we are well on our way to reaching our 25th Anniversary goal. Best wishes for the Christmas period and thank you again for your generosity. A first class service, staff were courteous & very helpful. A job well done. You moved us to Four Winds Windermere LA23 2DP. Your men were brilliant in every way. Thank you. Your lead chap whose name I forget(tall and slim) Was exceptional. You are lucky to have him on your staff. We have unpacked many boxes if you would like to collect them when next near by please do so. Thank you Marjorie Madge. We were really pleased with the service from your guys, they did a first class job and we can’t speak highly enough of them. Please pass on our thanks to them, they did a first class job. You have not requested any feedback following my removal on 5th/6th October from Bolton le Sands to Mumbles, so I should like to offer some. Your two lads, Lee and Louis (I hope I’ve spelled their names right) were excellent, they took care of me and all my goods and safely delivered everything. Their assistance with removal and reassembly was wonderful and having everything set up and ready to run was such a relief. I should like you to pass on my gratitude for their unwaveringly cheerful approach and effective support while I felt in meltdown at this most stressful time. They were true gents and worked like trojans. Your team helped us moved house in Ulverston on Friday and were amazing. Quick, did everything they were asked to do, friendly and professional. Would recommend, no hesitation, they were spot on. Anyway, thanks! To all those who carried out the removal from Windermere to Kendal, especially Darren, Gavin & Jason. It was definitely the most successful and impressive move ever. Nothing was damaged or broken. They treated everything we had with great respect. I wanted to thank all the team, who were responsible for the most perfect house removal. Their energy and care were second to none. They carried out the whole organisation, packing and unpacking with enthusiasm, even though at times they were thoroughly wet through. This did not dent their spirits. We will definitely be recommending Steeles Removals to all our friends and colleagues. Just to say thank you so much. Steeles Removals ltd have donated a shapemaster machine to St Marys Hospice Barrow. We are keeping it for new patients to use in the new building. Another outstanding job by your staff- well presented, quick and careful workers. Friends suggested other removal firms but I knew that I could, yet again put my trust in Steeles. On the 26th May I moved from Green Hollows Country Park Carlisle to Askam-in-Furness, I have moved quite a lot over the years and I can honestly say your two lads that helped me move were the best I have ever had.They were polite, friendly and nothing was too much trouble. I would like to say thank you to them for giving me a stress free move. 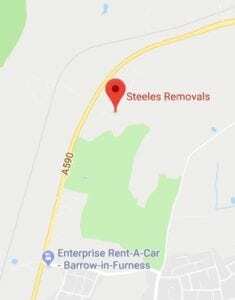 For me there is no removal company except STEELES. Over the last 20+years whenever we have needed anything from a single item to the entire contents of a large house moving we have turned to Steeles. We have also us your storage service. Your removal men work like Trojans- swiftly (I feel tired just watching them), but they are always careful and we have never had anything damaged. Your men are invariably clean, well turned out and cheerful. Office staff too are always polite and helpful. If they promise to get back in touch, they do. Other businesses could learn a lot from your organisation. Your company owner is a VERY fortunate person to have such an outstanding team. We’d just like to say a big thank you to you for your help with our removal earlier this month.Without the team we had on Monday and again on the Tuesday for the actual removal, it certainly wouldn’t have been as smooth and easy. In Particular please will you thank Dave, Keith and Matthew for their help. They had a lot to contend with on the Tuesday between builders and painters, and we do apologise if it made the job extra difficult, not to mention two flights of stairs.